We offer a variety of outdoor signs, banners and flags designed with one purpose in mind: To maximize your company’s visibility. Our superboards are a must for reaching a large number of consumers! 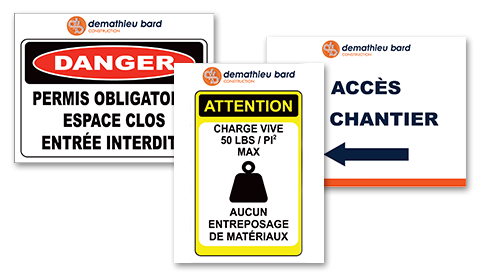 We offer you a wide range of yard panels and signs. In addition to our personalized graphics services, different materials can be used such as crezon plywood, aluminum panel (alupanel), acrylic panel (plexiglass) and coroplast panel. Advertising banners, posters, pennants, flags and banner support (roll-up) are custom-made according to the size and design of your specifications. 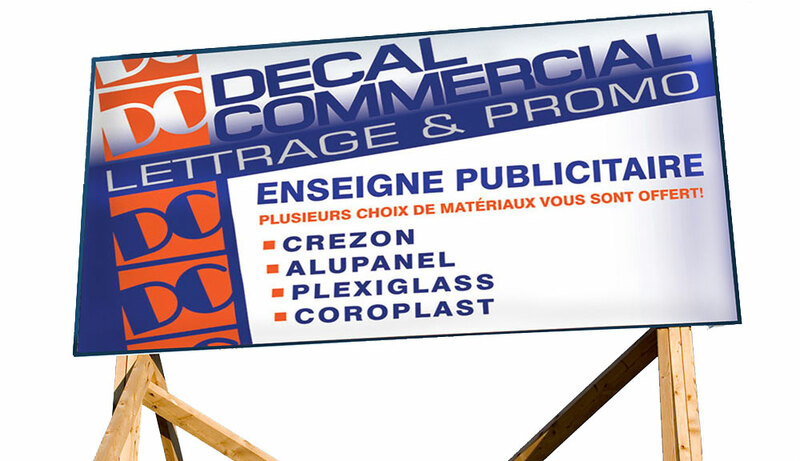 We offer a high resolution digital print for any type of lettering, image or photograph directly onto your banners. We produce the lettering and decoration for window decals. We help you to stand out with the graphic layout and the installation of your window decal with the lettering, “wrap” and “semi-wrap” of your window. We are specialists in large format printing and finishing for your advertising posters, cardboard, paper or vinyl. Do not hesitate to contact us.